Superhero fans around the world are mourning the death of comic book legend Stan Lee, while queer people are talking about the writer's impact on them. Opinion 13 November, 2018 . Written by Brian Dillon. 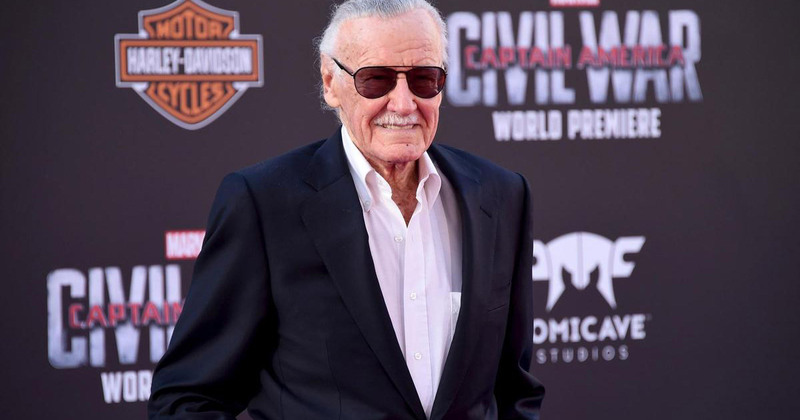 The news broke yesterday that Marvel comic book writer Stan Lee has died aged 95, and the internet has been celebrating the legend’s life and legacy since. The queer community, in particular, were quick to comment on the importance of some of Stan Lee’s characters in their lives. And it makes sense that characters who start off as misunderstood and often mistreated individuals, who then become brave and powerful heroes tend to resonate with the journies of LGBT+ people all over the world. Much like the team of mutants known as the X-Men, queer people are more often than not made to be the outsiders of society, and discriminated against due to a lack of understanding about who we are. Stan Lee, without even knowing it, created a universe of characters that provided queer people with something to resonate with and look up to. “I don’t think Stan Lee estimated the impact misunderstood mutants like The X-Men would have on the LGBT community. For that I will always be grateful,” wrote one Twitter user. Much like the LGBT+ community, many of Stan Lee’s characters were misunderstood by the rest of the society in which they found themselves. “If kids of all types can identify with our heroes, it’s the most gratifying thing I can think of,” Stan Lee told Huffington Post in 2016. “A lot of people are just too narrow-minded and a little bit bigoted. And there are a lot of people who feel that if somebody is not just like me, he’s a bad guy. I could see the day come when all of the people with black hair hate the blonds or tall people hate the short ones. I mean, it’s ridiculous. It’s as though some people feel you just have to hate anyone who is different than you. “And if my books and my stories can change that, can make people realize that everybody should be equal, and treated that way, then I think it would be a better world,” the writer said. Lee previously admitted that he had never written a gay character because he simply did not think of it. His admission did not sit right with some of queer people, but many still resonate with Lee’s and Marvel’s characters on a more metaphoric level. Superhero stories typically follow someone who is weak and often bullied and pushed around by others, and it is only when they embrace their individual abilities and traits that they become their superhero selves. For many queer people, it is only when they embrace their true selves, like these characters have, that they realise their strength and worth. Much like Hulk, the Fantastic Four, and the X-Men, when they embrace and take advantage of what makes them different from everyone else, they become superheroes. 13 November, 2018 . Written by Brian Dillon.